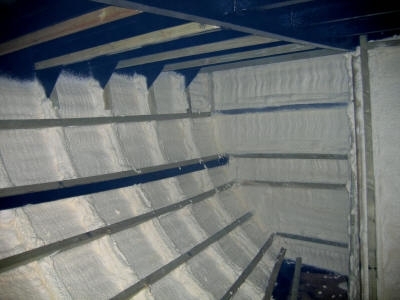 If you are an owner, enthusiast or are planning to build or renovate a narrow boat, canal boat or barge, then you	are probably giving important consideration to insulation. 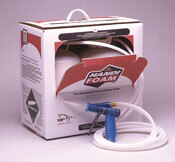 Not only will insulation reduce heating costs but can eliminate condensation problems and improve your overall comfort. 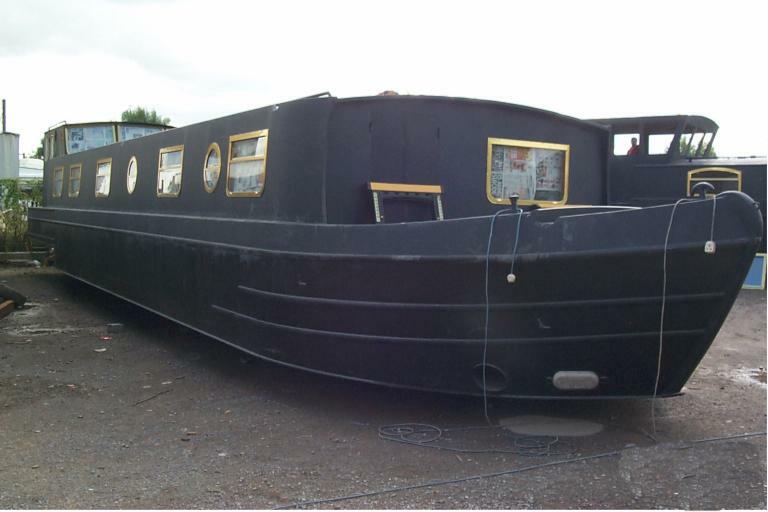 Spray on polyurethane foam is an ideal way to insulate narrow boats. 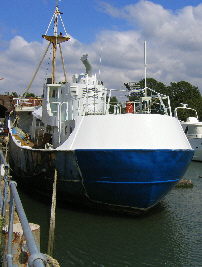 The foam is sprayed directly onto the inside of the hull and adheres well to steel hulls and most surfaces. 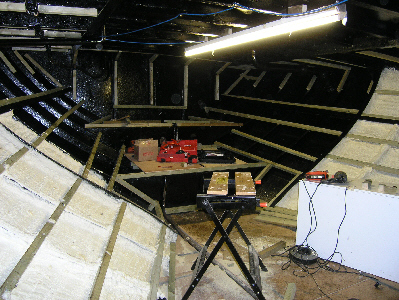 As the polyurethane foam is sprayed it expands which makes it perfect for getting into voids and under battens. The sprayed foam cures within minutes to form a continuous rigid foam which has a closed cell structure making it impervious to moisture. The cured foam will last the lifetime of the boat. 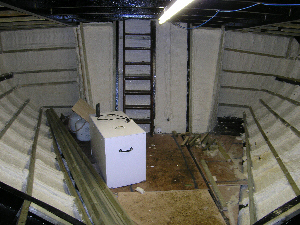 No special equipment is required to spray the foam, and thus it is ideally suited to DIY insulation projects or canal boat & barge renovation. 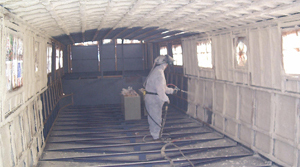 The thickness depends on the level of insulation required, and for most applications, one inch of foam sprayed on to the inside of the canal boat or barge is sufficient. In the photo below, the windows and battens have been taped to prevent over-spray adhering to them.